At the time of writing, the NSCL website shows that the first time that the Sunday 2nd XI played Bristol Bangladeshis 2nd XI this season, none of the Cowboys' bowlers went for any runs at all. A stunning feat, surely hard to better, or perhaps a computer / human error. With several of those unbelievably economical bowlers absent, it was certainly going to be a hard task, especially if the Bangladeshis played their demon off spinner Chirag Agarwal, who had taken a brilliant, if relatively expensive 7 for 4 in that previous encounter. But hold up, here comes the cavalry in the form of four Sunday 1st XI imports looking for a game, including DCPunk to replace DC2 at the helm for the day and with Aran, Justin and Bolts in the side too, confidence was quite buoyant. Reg even went so far as to park his motorbike in line with a straight six. 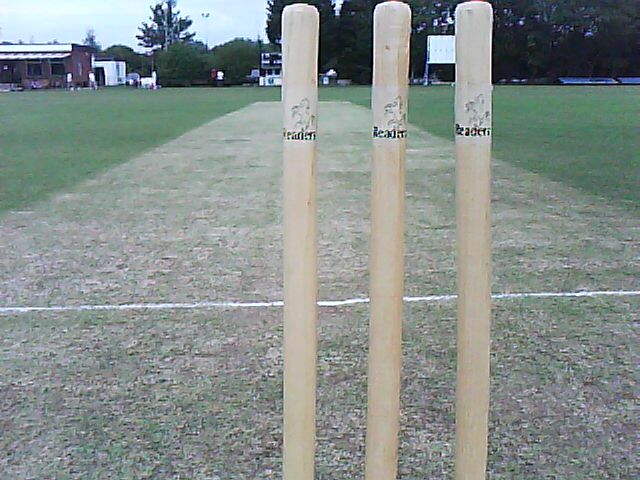 Much debate was had over the perennial bat / bowl question, complicated by playing on the unfamiliar other wicket at Frenchay. By 2.15 the Cowboys had taken to the field and were limiting the Bangladeshis' openers to only a few runs an over and following a couple of well taken catches and great bowling from Aran, the opposition were 16 for 2. The chance to press home the advantage unfortunately went to ground a couple of times and the middle order partnerships upped the run rate against the part time bowlers, despite some tidy stuff from Bolts. A potential centurion was halted by a stunning caught and bowled from Aran and Reg and Justin conspired to prevent another reaching his fifty with a stumping. DCPunk considered himself unfortunate that none of the skyward balls launched from his bowling landed near any fielders, except one that Dave H claimed for his second. It is a big field. Your own correspondent bowled the last over and kindly donated three wides to help the Bangladeshis to a final 246 for 9. 'Anger is an energy' wailed John Lydon with PiL. Justin might have been humming this ditty to Bolts as they went out to bat, such was his apparent ire at having had to spend more time than usual running, walking, to retrieve the ball in the field and a fraught negotiation over ice cubes at tea. At least a dog didn't step in his humous and wolf his muffin. Thanks Jack. Through kindness, guile or stupidity the opposition opened with their tamest bowler and contrary to fears he was smitten and seen off without incident. All was fine and dandy, even after the introduction of the demon off spinner with infinite variety, who was handled with care until Bolts lost his leg stump and it was 33 for 1. Dave H and Ben S came and went quickly, followed by Justin, leaving Aran to provide some resistance and solidity. Alas and alack, nobody else made it to double figures, although the resilient acting skipper might have done had he not run out of partners in the 21st over with the total on 81, a minimal 3 run improvement on the season's previous encounter. 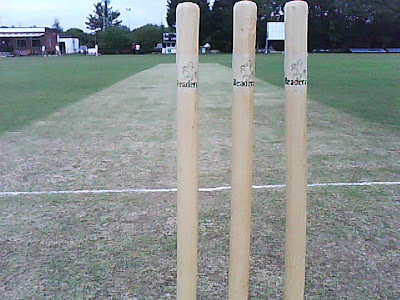 Chirag Agarwal took 6 for 9 for the Bangladeshis.